Create the illusion of light and space in your home decor with this stunning wall mirror. Decorated with 3 interlocking frames for a modern contemporary look for the living room or hallway. This mirror will make a fantastic statement no matter where you display it. 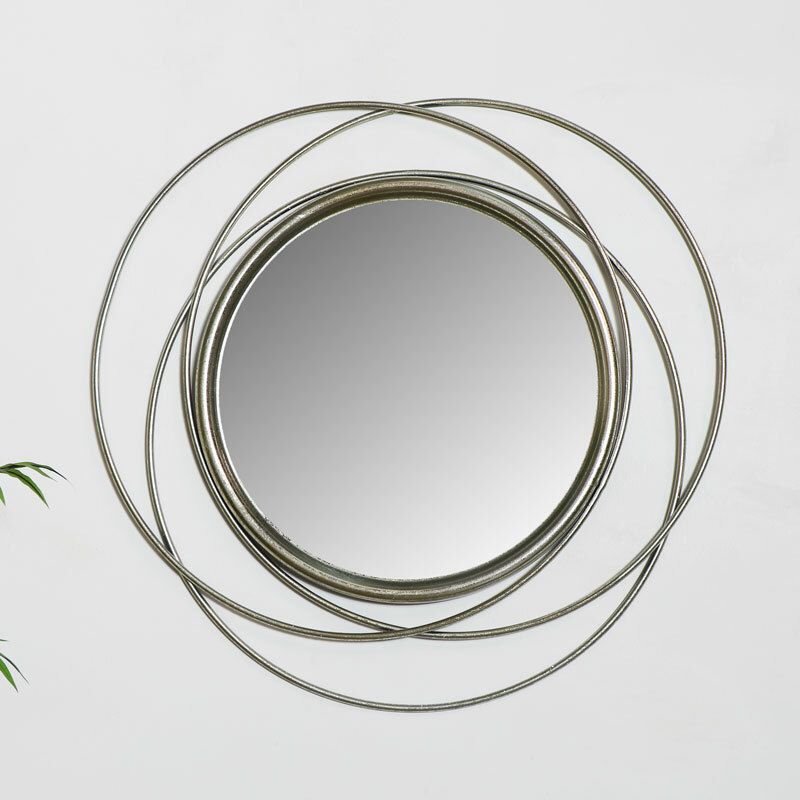 Silver swirls surround the round mirror for a stunning effect. With plenty more wall mirrors for you to choose from making the best home accessory and helping to add that finishing touch to any room. Create the illusion of light and space in your home decor with this stunning wall mirror. Decorated with 3 interlocking frames for a modern contemporary look for the living room or hallway. This mirror will make a fantastic statement no matter where you display it. 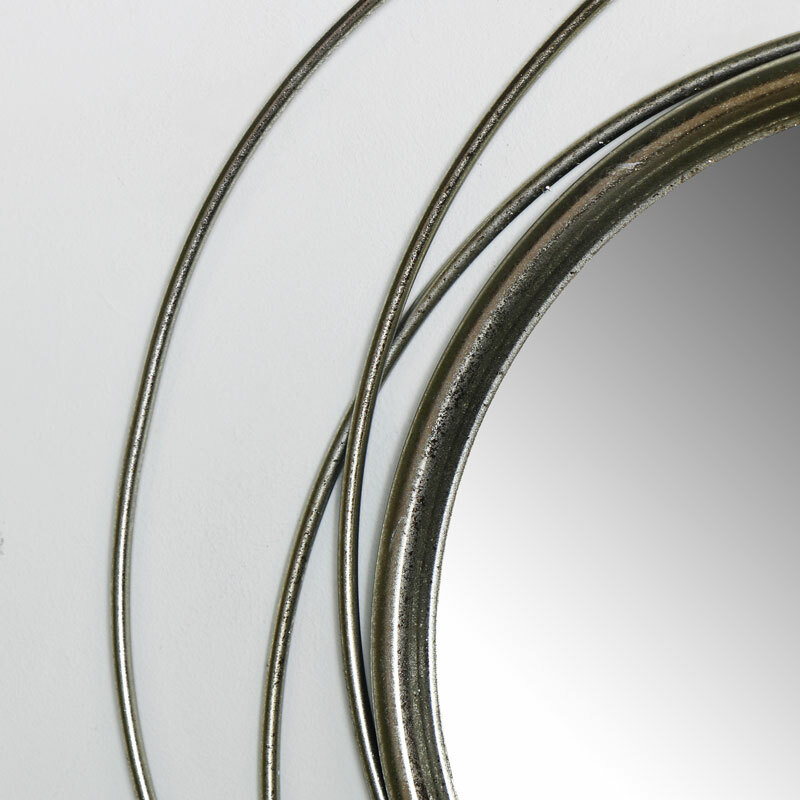 Silver swirls surround the round mirror for a stunning effect. With plenty more wall mirrors for you to choose from making the best home accessory and helping to add that finishing touch to any room. 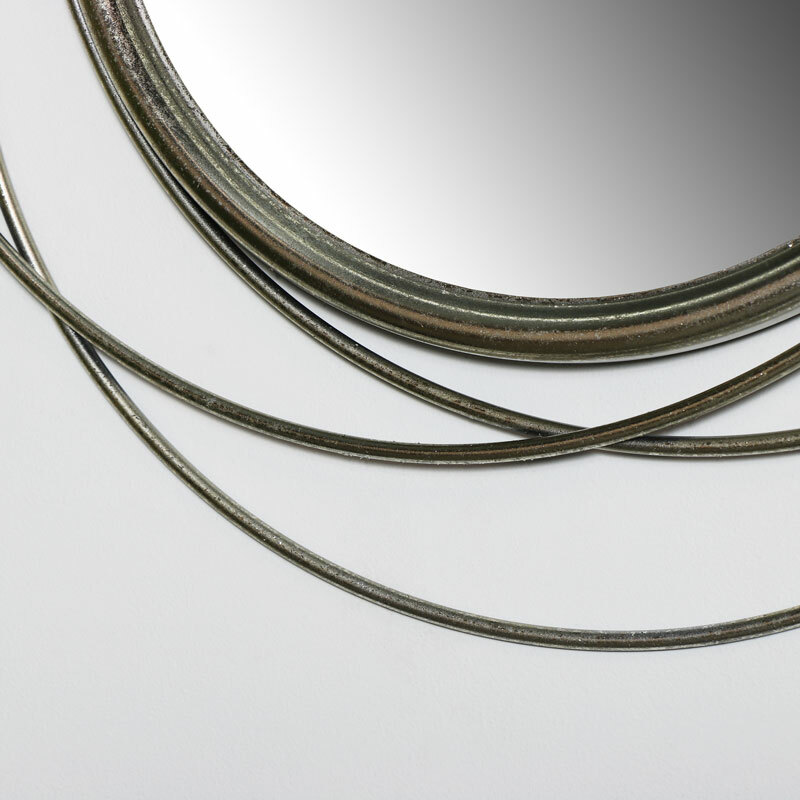 The mirror comes with in a distressed silver frame with 3 interlocking circles for a stylish look. Easily wall mounted with a hook on the back for hanging.